Alas, now that Fox and director David Leitch have made their decision, fans can now begin to look toward Deadpool 2‘s June 2018 release date with giddy excitement. One member of the X-Men family who empathizes with that feeling is producer Hutch Parker. Screen Rant caught up with Parker in anticipation of The Gifted, Marvel and Fox’s TV drama that centers on a dysfunctional family on the run, though it didn’t take long before the conversation turned toward Fox’s cinematic universe. 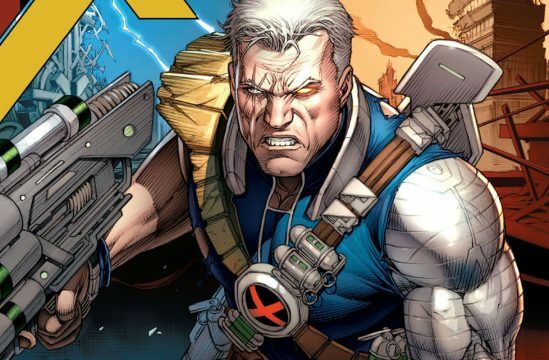 When quizzed about the introduction of Cable in particular, Parker hinted that Josh Brolin’s silver-haired bandit will help “expand the landscape” beyond Deadpool 2, which will surely fuel speculation that Cable will crop up in the inevitable X-Force ensemble movie. Well as you know, it’s kind of implicit in your question, it just opens a whole series of doors. I think that was part of what was so exciting of adding him to the mix is, not only what he brings as a character – and I think what I think Brolin will bring to the part, which I think was just brilliant casting – but it expands the landscape again and gives us more flexibility and opportunity which is one of the ways we can keep this franchise feeling vibrant and exciting and fresh – by introducing elements that are exciting and dynamic and different. Sandwiched between New Mutants and X-Men: Dark Pheonix – for those keeping track, the former has purportedly set sights on Stranger Things breakout Charlie Heaton – Deadpool 2 will be with us on June 1st, 2018. Filming is expected to get underway later this month in Vancouver, so keep your peepers peeled for the inevitable onslaught of set photos.